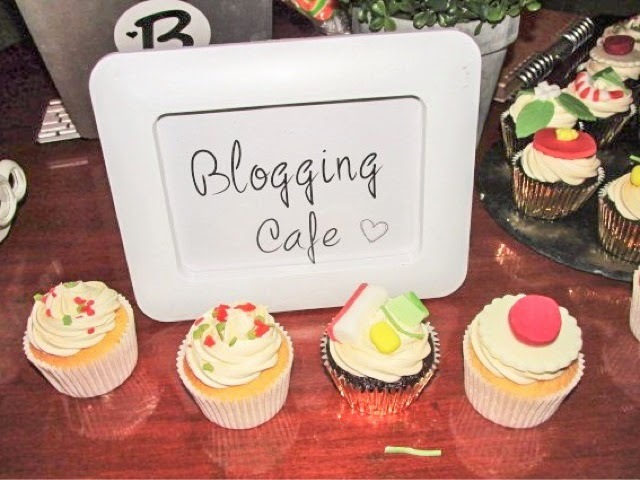 For the last two Mondays of November I headed along to the Bloggers Love Bloggers Love Hub events hurrah! A bit like the Bloggers Fashion Week events I attended before, Bloggers Love Hub aims to bring together bloggers and brands as well as offering a cool spot to get some blogging done, and try out some exclusive workshops. Sounds good eh?! 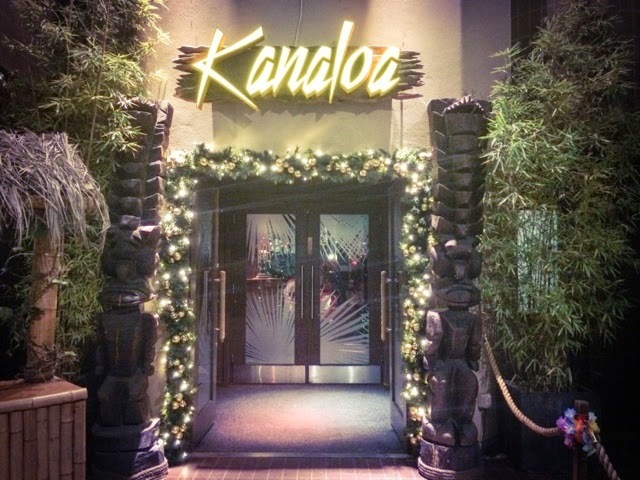 The events were held at Kanaloa, the sister club to Mahiki. It was pretty fun inside with a vibrant tiki theme however the lighting was really bad, so I’m sorry my photos aren’t the best! On the first evening Donalyn and I took part in a cupcake decorating class with the lovely Tia from Miss Cupcakes, who supplies Bloggers Love with the amazing cupcakes which we’re lucky to receive each event. I am obviously a big baking fan but am pretty rubbish at decorating cupcakes so it was a real treat to learn from Tia, as well as hear about how she came to set up her business and what the most popular types of cakes are. 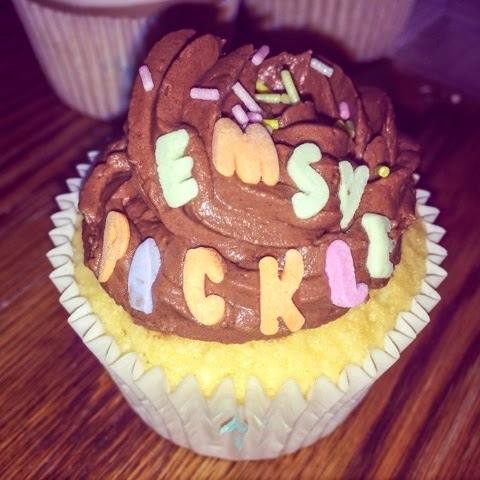 I decided to practice my piping and started with chocolate buttercream decorated with sprinkles and sugar letters. I then moved on to create a Frozen themed design with blue icing and silver and white chocolate toppings. I think you can definitely see an improvement between those two goes! I then turned my hand to sugar paste and made this cute bride design with the help of Tia’s handy cutters and embossing sheets. How cool is that?! It was great to have a go with these as I’ve not tried anything like them before. 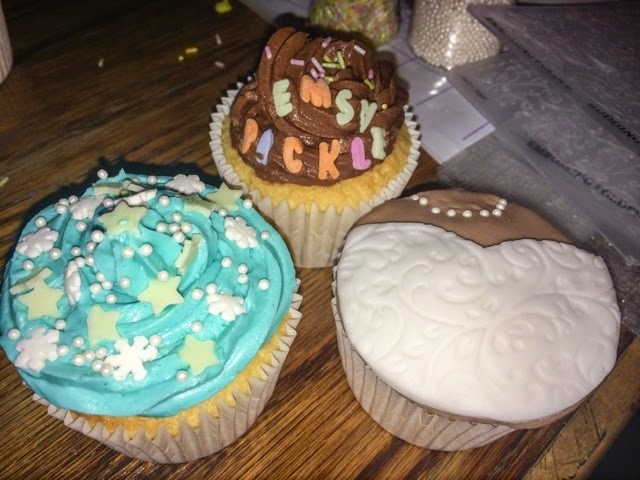 Tia’s top tip was to search eBay for cake decorating tools as you can get some fantastic versions which are exactly the same as the ones by big brands but without the logos or hefty price tags. Thank you Tia! It was then time to meet the brands! 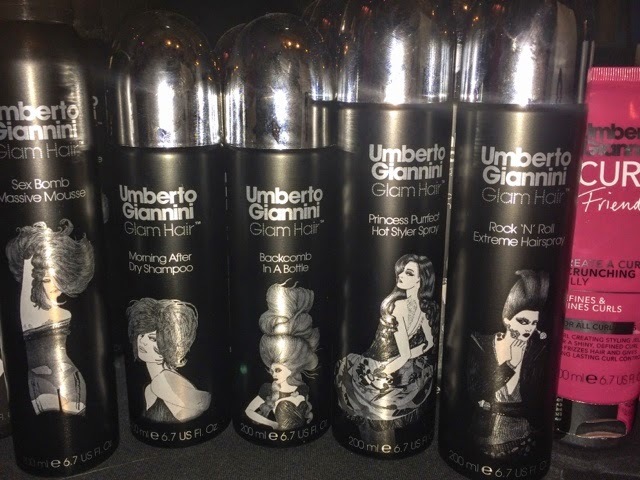 As we know, I am always on a mission for volumised hair and was thrilled to be given some Backcomb in a Bottle by Umberto Giannini to try out, which their stylist promised me would add instant body to my poor limp locks. I’ll let you know how I get on! 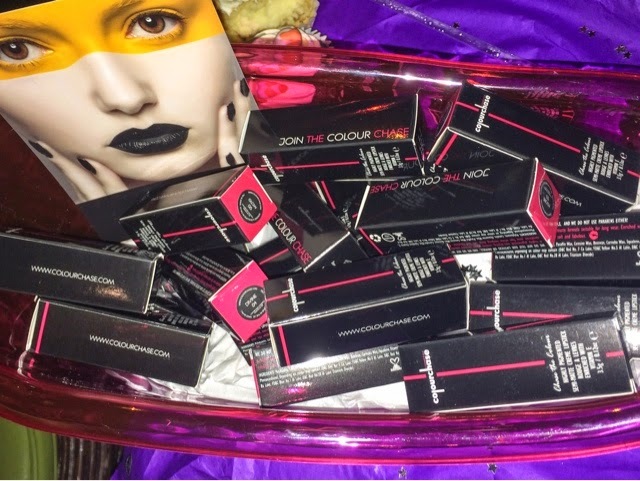 I also met the girls from Colour Chase Cosmetics who were so lovely and gave Donalyn and I all sorts of tips for wearing and making lipstick last. 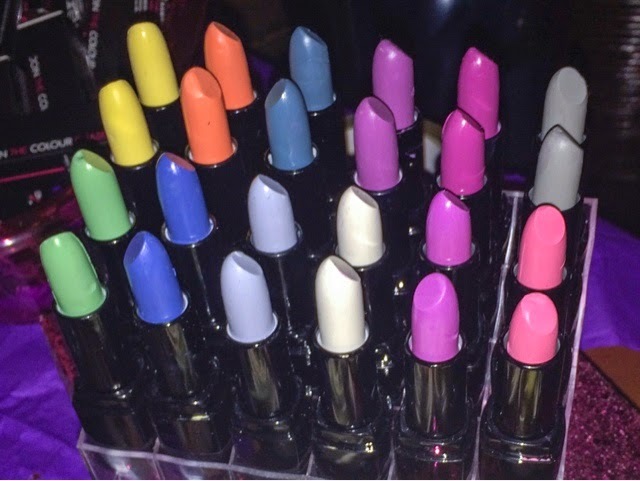 Colour Chase make bright, vibrant lipsticks and I can’t wait to try out the bold purple they kindly gave me. 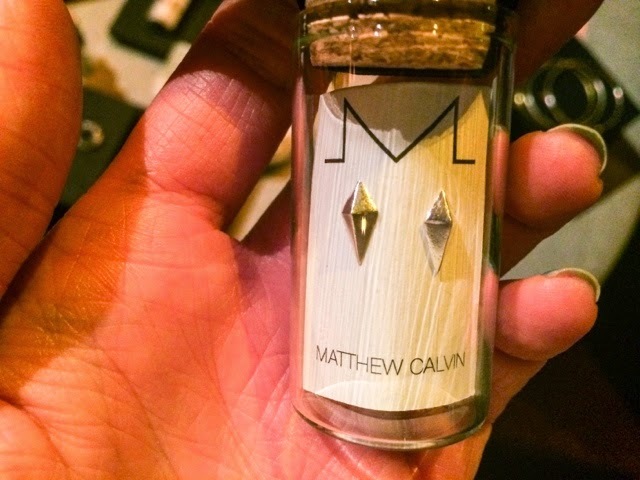 One of my favourite brands of the night was Matthew Calvin who makes incredible simplistic but stylish jewellery. 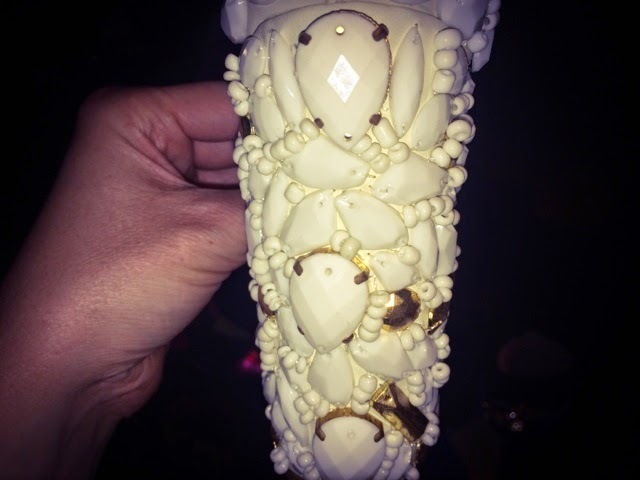 I’d checked Matthew Calvin out online before the event and loved his gorgeous crystal skull jewellery which is so cool and would funk up any outfit. 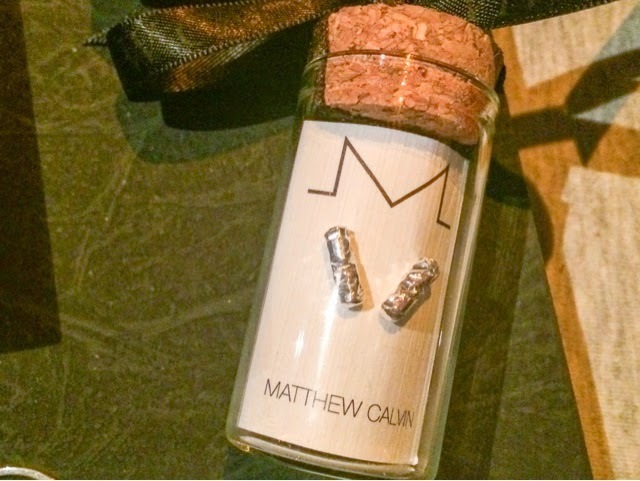 At the event Matthew had these gorgeous geometric earrings and just how amazing is the packaging?! Check out these stunning embellished heels by Mifani shoes who run a shoe rental company allowing you to borrow their range of heels for nights out or special occasions. 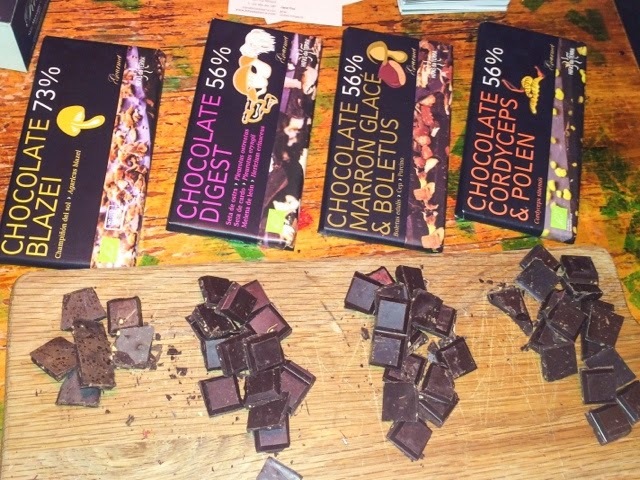 I’m a sucker for dark chocolate so couldn’t resist going to have a nose at the Hifas da Terra stand, only to discover it is completely dairy free and contains mushrooms! How random is that?! 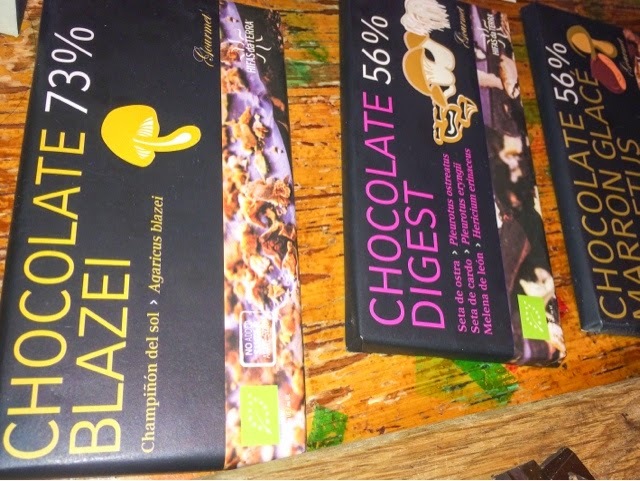 It’s supposed to be a healthier way to enjoy chocolate and it actually tasted really good too! Hifas da Terra also make a range of natural beauty products and soaps using natural mushrooms. My favourite brand from the second evening was Apricot. I wore one of their dresses in the summer to a wedding and it was lovely to check out their AW offering which is made up of a stunning collection of winter warmers. Capes were big news and there was a stunning black one in a felt like material trimmed with fur – so so cosy! 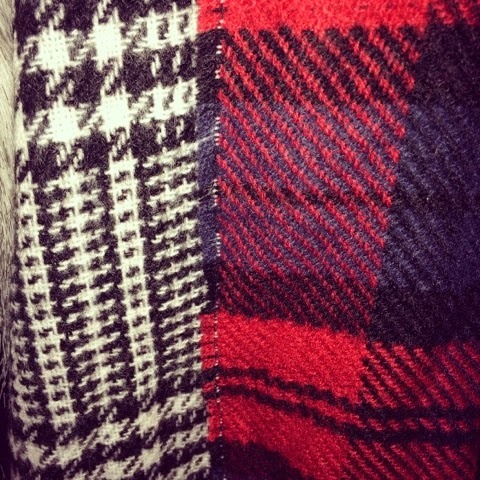 I also fell head over heels for their dual print tartan and houndstooth scarf which was so ridiculously soft! Adding that straight to the top of my Christmas list! I also really enjoyed speaking to the team from Slendertone who explained how their toning belts can be used to compliment a healthy diet and exercise routine to help target and tone up problem areas including your abs, bottom, arms and face. I definitely need to give these a go! You simply pop the belt on for 20 minutes 5 times a week and you should definitely notice a difference. Sounds like a must after Christmas! And last but certainly not least, the final brand I got to meet was London based accessory brand Nadia Minkoff. They were showcasing some absolutely stunning jewelled statement necklaces and beautiful leather bags. I absolutely adored these distressed metallic oversized clutches and think they’re absolutely perfect for the Christmas party season. I had a really great time at the Bloggers Love Hub and got to meet lots of lovely people and discover so many new brands. If you haven’t already signed up to the Bloggers Love network go do so now as I’m sure there’ll be heaps more exciting events to come in 2015. Have you tried any of the brands I met at Bloggers Love Hub?